The Gross winery is located on the Ratscher Nussberg, which is among Südsteiermark’s most celebrated viticultural sites. The wines of the family are among the best in the region, year after year. The Gross family has been growing wine since 1907. Today, Johannes and Michael Gross pursue their craft in the charming hillscape of Südsteiermark and adjacent Štajerska Slovenija. Their reputed sites (or Rieden), such as Nussberg, Perz or Sulz, are characterised by extreme slopes. 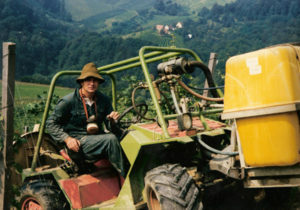 The vineyards are cultivated in a sustainable and quality-assuring approach, the use of machinery being hardly possible. In this area, the cool winds from the Alps meet with the warm air masses of the Adriatic Sea. The grapes become fully ripe in this Alpine-Mediterranean climate, and due to diurnal temperature variations of up to 20°C, they possess both freshness and aroma. 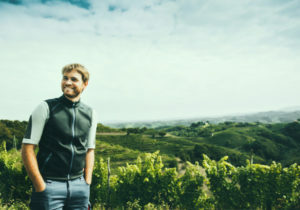 The soils are highly diverse: depending on the vineyard site, sand and gravel, shell limestone, marl, or soils of Volcanic origin mark the unmistakeable character of the wines. Our region-specific portfolio includes white varieties such as Pinot Blanc, Muscat Blanc à Petits Grains, Sauvignon Blanc, or the Slovenian Furmint. Vinification is entirely focused on the origin of the wines, which is characterised by both the climate and soil. In order to make room for their special features to unfold, we vinify even very small vineyard blocks in separated vats. 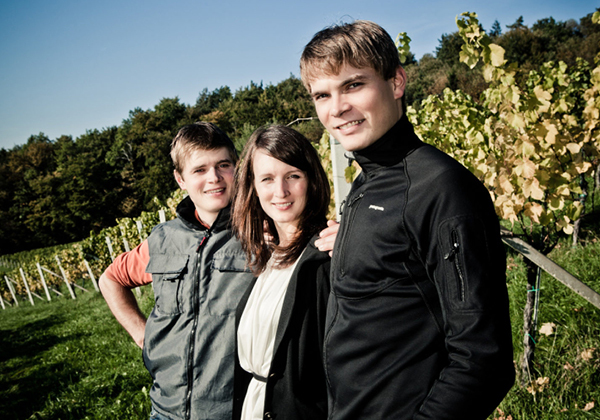 Weingut Gross has always made a point of giving their wines all the time they need to mature. 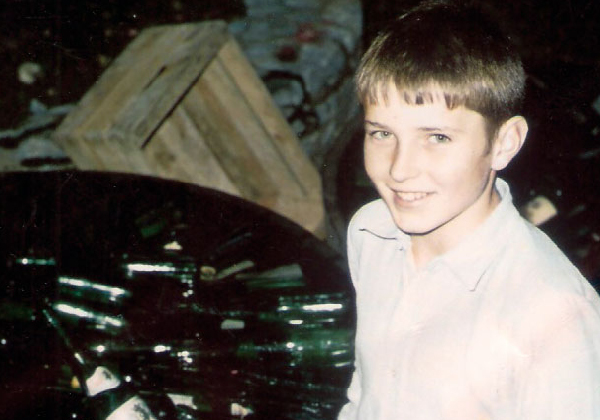 Even bottled wines often remain in the winery for years before leaving the cellar. Visitors may marvel at the rarities kept at the heart of our cellar and wine lovers try them in a tasting. Visitors will encounter four generations. Members of our family will tell you more about our wines, whether in the cellar or on the panorama terrace, and show you around the winery and vineyards. In spring and fall, we will also spoil you with home-made specialties. Want to visit the winery? Want to taste our wines directly at the winery or book a guided tour? Then please mail us or dial …! 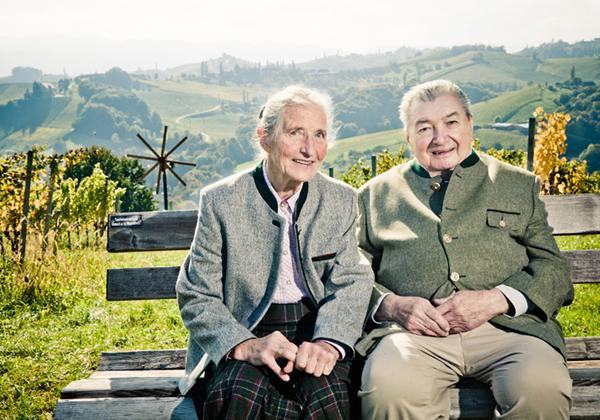 Two brothers at the Ratscher Nussberg and a glimpse of the more than centenary history of the winegrowing family. The course was first set by ancestor Heinrich Gross. 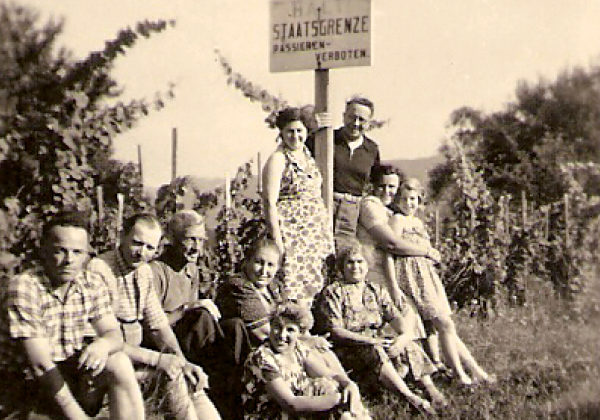 He bought the vineyard on Witscheiner Herrenberg in 1907, thus paving the way for the winegrowing business to be. 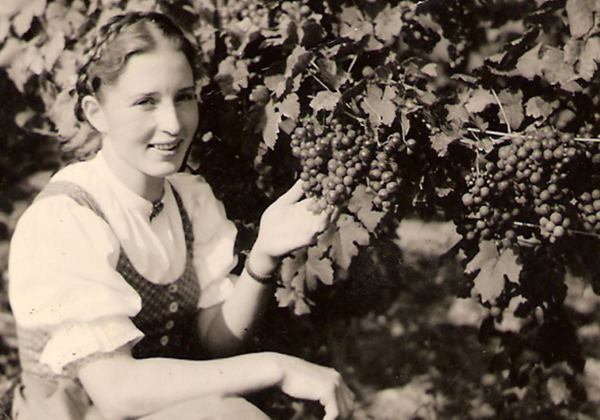 It would take five generations and over a century before the family came to specialize on wine alone. 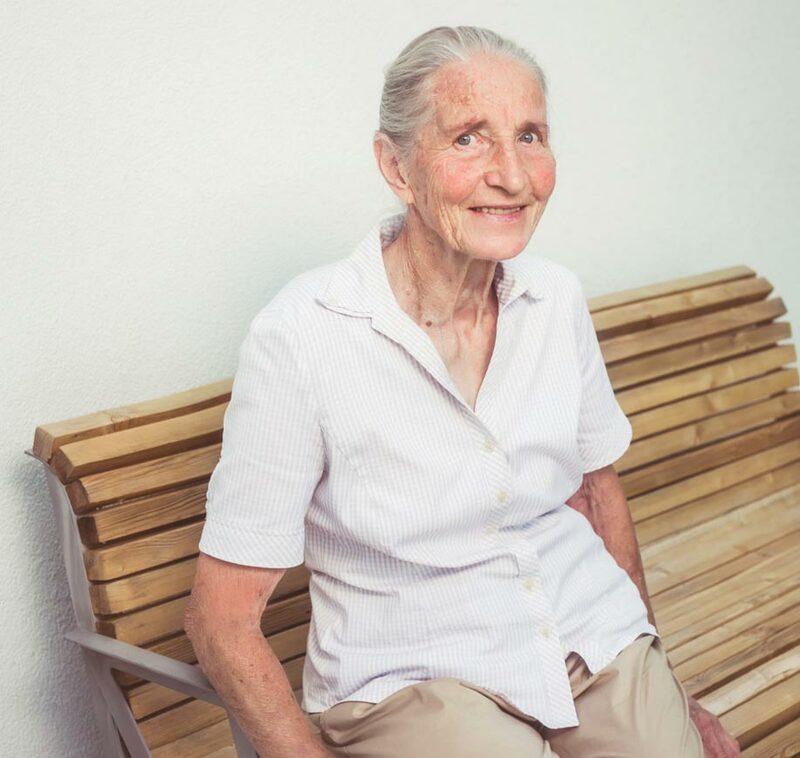 A huge step was taken by Alois Gross, who starting in the early 1980s focused on excellency in wines, with the help of Ulrike. 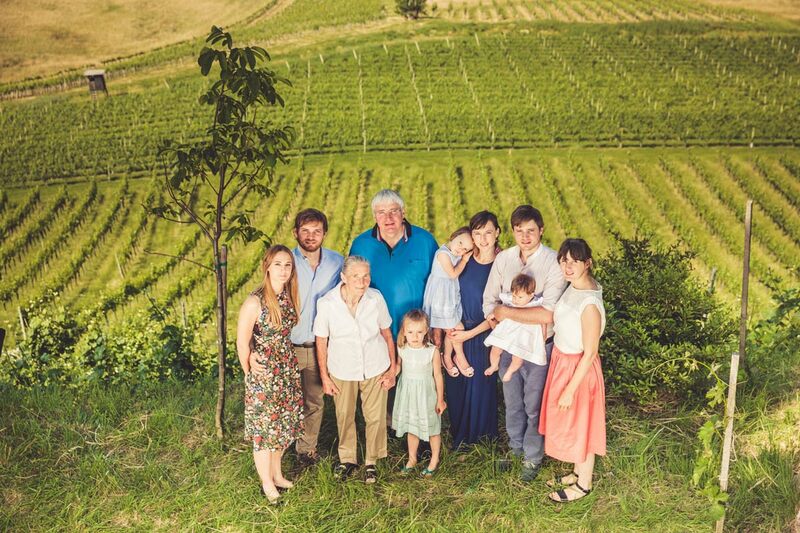 The Gross family was soon to harvest the fruits of their work: wines made by Gross came to be listed in award-winning restaurants, and in 1991 the Falstaff magazine elected Alois as “winemaker of the year”. 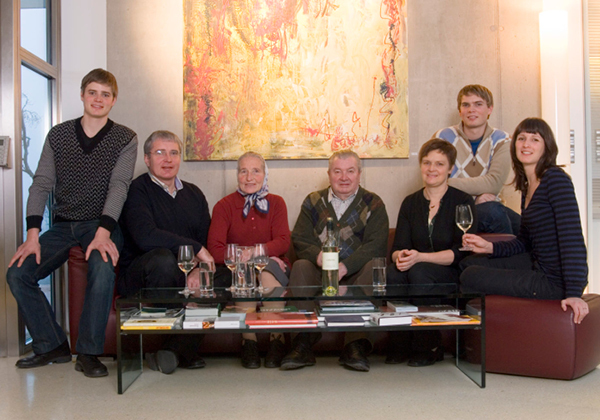 As a founding member of “Steirische Klassik” wineries (now STK), Alois and his colleagues built up the reputation of Styrian wine both at home and abroad. 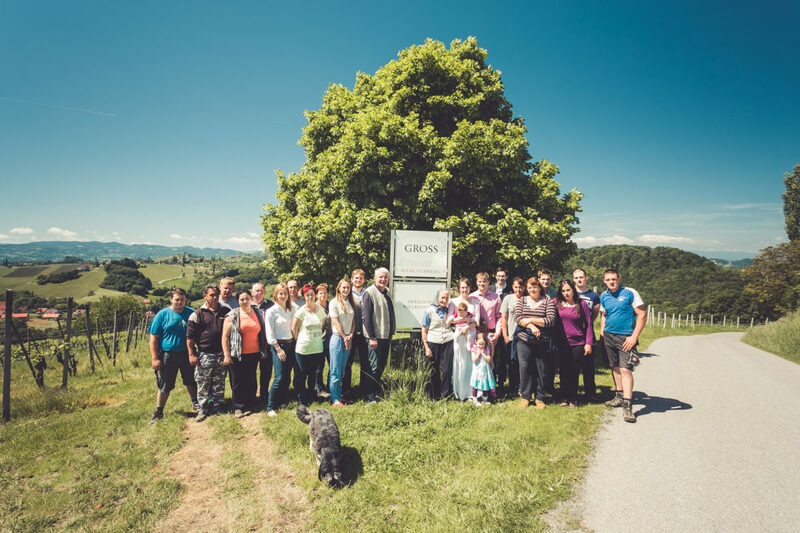 The name Gross acquired a firm place among the top-rated wineries in Austria. 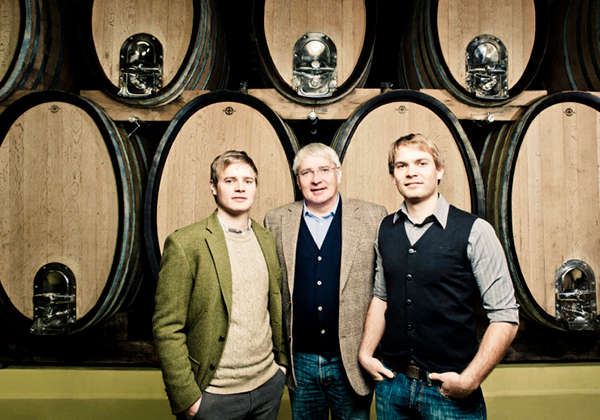 In 2006 Alois devolved responsibility for the cellar to Johannes while Michael still sampled the best of the international wine world. 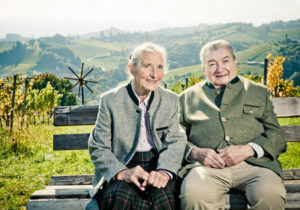 A little later, the brothers – then 21 and 19 – assumed full responsibility for the winery and from then on walked in the footsteps of their ancestors: Alois knew from his own experience how important it was to make important decisions in the younger years of life. With great care and step by step, the brothers developed the traditional winery further by giving it a new orientation. 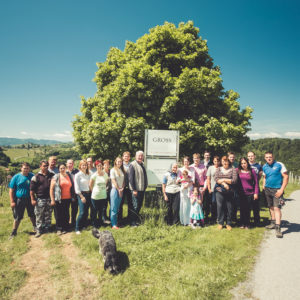 Together with their families, they are heading for an even more successful future: Weingut Gross has opened itself up to the wine-growing region of Štajerska Slovenija, with soil and climate conditions hardly different from their Styrian home ground. 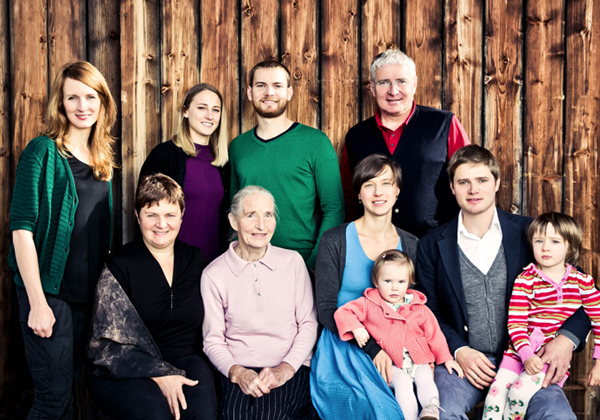 There the family shows its pioneering spirit, and the results meanwhile confirm their ambitions. Johannes is responsible for the vineyards and vinification in the cellar. 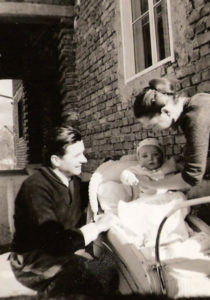 His wife Martina serves customers home-made specialties on the terrace of the winery and sees to the wellbeing of her family. 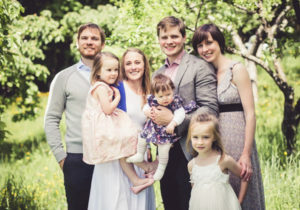 Together they have three children: Annika, Frieda, and Anselma. Happiness is … living amidst vineyards, wild orchards and groves, surrounded by family, and doing affectionate and dedicated work. 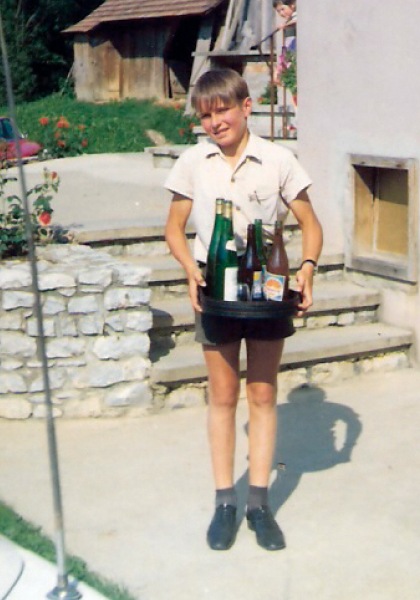 Maria cares for customers directly at the winery and is responsible for marketing and administration. 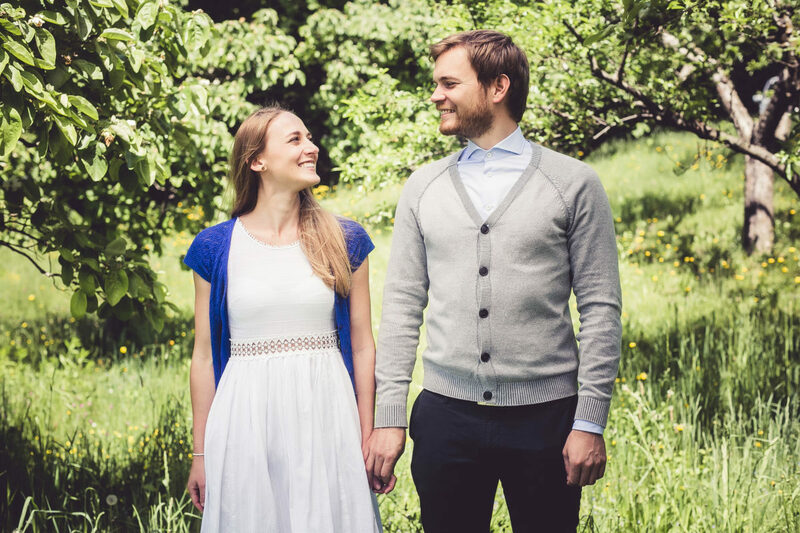 Together with her husband Michael she maintains contact with our dealers throughout Austria and across the world. 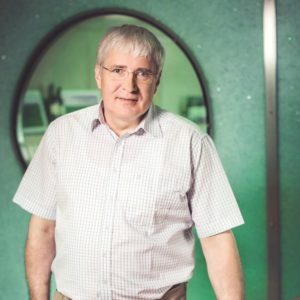 Michael is responsible for the vineyards and for the vinification of our Slovenian wines. Making decisions is easier when you are not alone. A reassuring thought: together we can make it all happen. The perks of a family business. 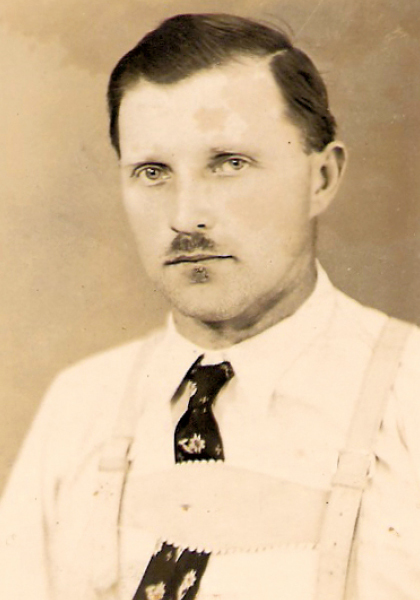 Alois Gross is among the pioneers of Styrian wine. His philosophy of excellence shows through when dealing with customers at the winery, a job he does with great passion and care. Low wines – or no wines – are boring. Great wines (by GROSS!) bring the groove. Communication is another must in the winery. Veronika, with the help of Maria, is responsible for our communication tasks, whether with printed materials, mailings, texting, or this website. She lives and works in Vienna. 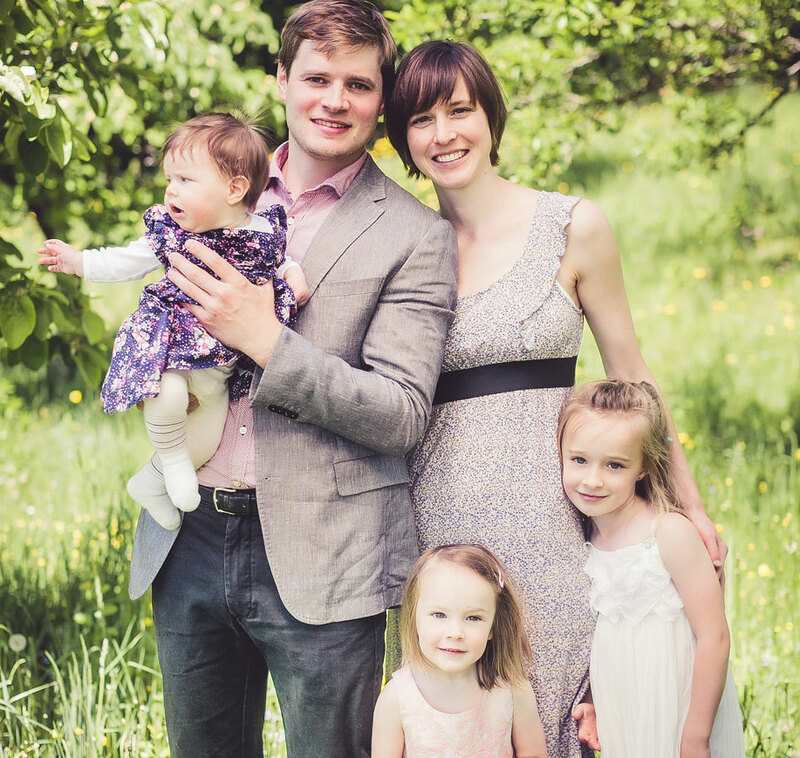 It is great to be part of a family business. Even working remotely, I feel close to my loved ones in this way. Our (great)grandma sees to the wellbeing of the whole family. 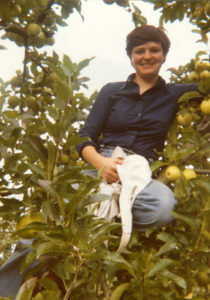 She spoils us with excellent home cooking, vegetables from her own garden, home-made herbal teas, mushrooms, and more. It is not important how old you are, but how you grow old. 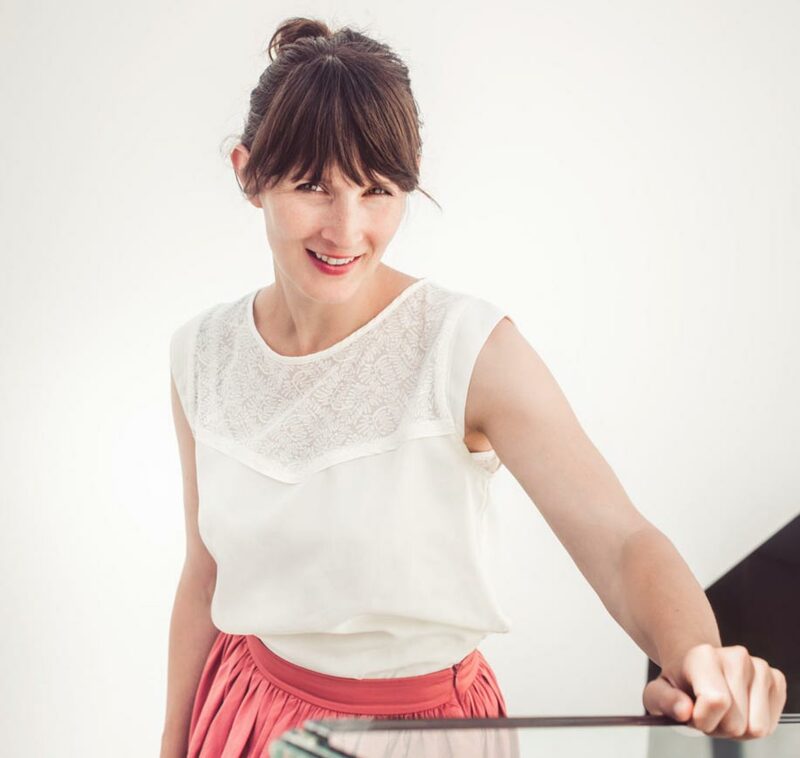 Aurelia keeps the boat afloat in busy times with her helpful hand in the back office. A long-served employee, she also helps with sales in the winery. It is friends and a sense of home that make you happy, not the dream of happiness. 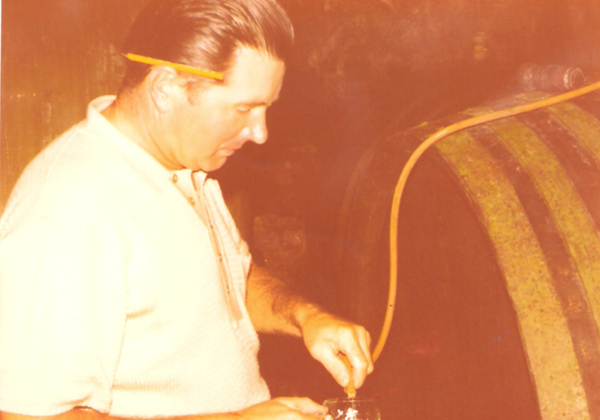 What would we be without our zealous staff in the vineyards, cellar, and around the house? 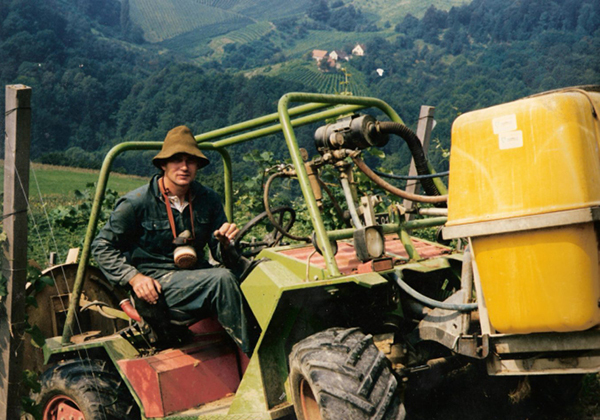 They tend our grapevines with great knowledge and care, they bring in the harvest, help with pressing, racking and other tasks, and maintain the machinery and buildings. Each year we welcome three volunteers from oenology schools such as Silberberg, Klosterneuburg, or Geisenheim (Germany) in order to introduce them to the practice of winemaking. The gates of our winery are wide open. Wine lovers may visit our vineyards and cellar, taste our wines, and buy them at ex-winery prices. We are looking forward to your visit here at the Nussberg! You may walk into our winery for a tasting at any time during opening hours. Our family or a knowledgeable member of our team will be happy to welcome you here and help you pick your choice of wines that you may also purchase on site. > No appointment needed. For groups of eight persons or more we kindly ask you to inform us beforehand. > We will be happy to take time especially for you: for a commented tasting, we kindly ask you to make a reservation. Costs: 10 euros per person sharing. Why not learn more about the various aspects of our winery? 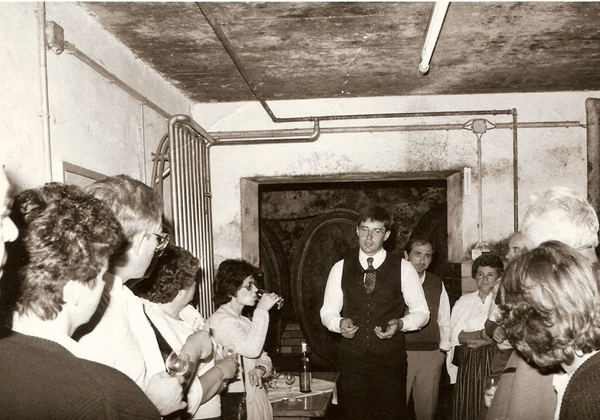 The tour includes a glimpse of the winery premises, a brief walk up the Nussberg vineyard, the press (if open), and the cellar. We will be happy to tell you more about our approach to the work in the vineyards and cellar. This will be followed by a tasting, with some bread upon request, and a selection of our wines to meet your personal preferences. 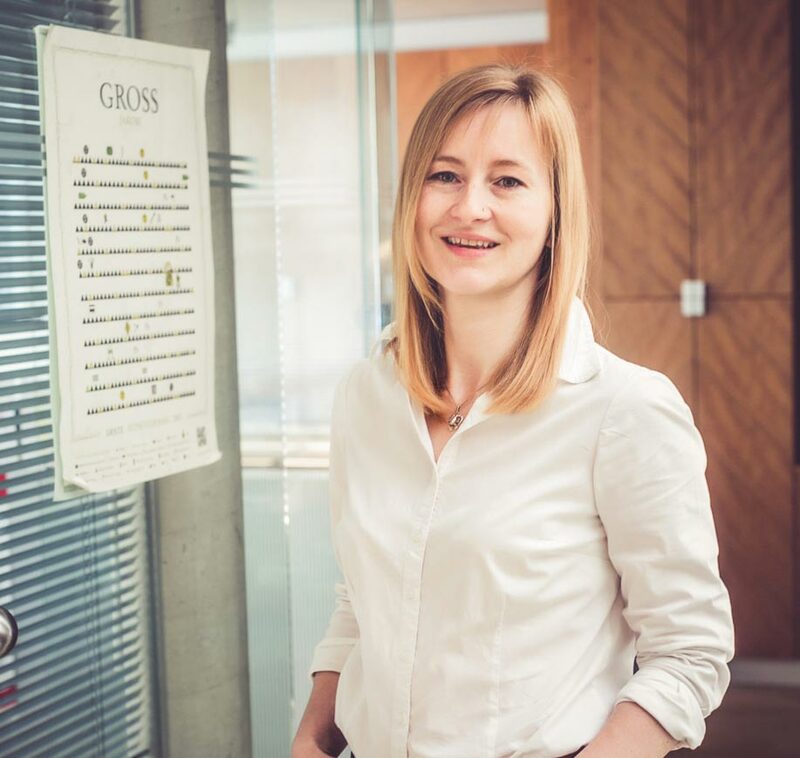 Christiane Roth, partner in life of Alois Gross, is a member of the team that will guide you through our vineyards and cellar. A far-travelled oenophile and tour guide now based in South Styria, she will be happy to share her knowledge about our family business and life, and have many a tip for making the most of your stay here. > 15 euros per person sharing (groups of 8 persons or more) including a taste of 6 to 8 wines. 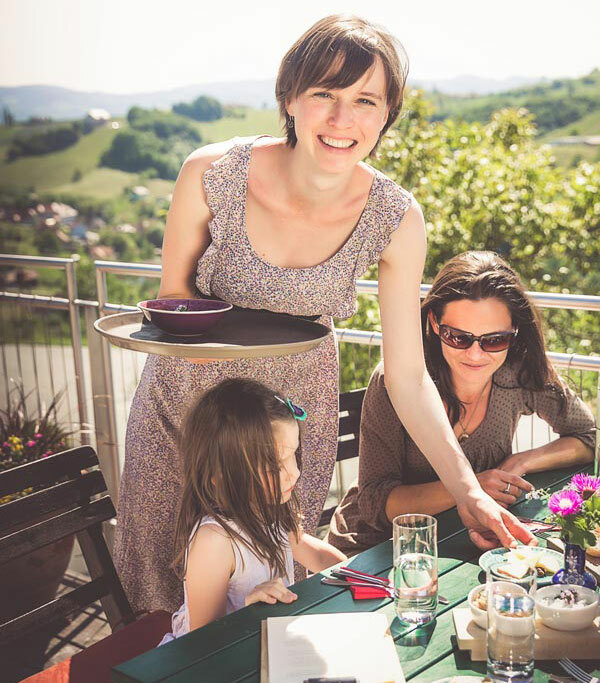 Spring and fall is the time when we open our terrace for you to enjoy the wonderful views across the hillscape, well into Slovenia. 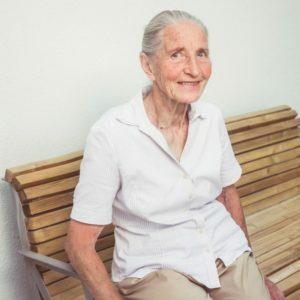 Martina Gross will spoil you with her home-made Styrian specialties, such as some traditional meat in the pot, home-made spreads, smoked pork sausages, and more. Enjoy our wines by the glass or by the bottle. It is easier to make headway together than alone. The TFA and STK wineries share a common goal, and a long-standing friendship across generations. The Gross winery is member of the group “Steirische Terroir- und Klassikweingüter”, a free association of wineries highly committed to region-specific viticulture. The STK wineries: Gross, Lackner-Tinnacher, Neumeister, Wolfgang Maitz, Polz, Erwin Sabathi, Hannes Sabathi, Sattlerhof, Tement und Winkler-Hermaden. “Tu Felix Austria” is the shared motto of nine outstanding Austrian winegrowers in their goal to promote the sales of Austrian wine in nearby Germany. In our archives, we store excellent wines under ideal conditions. We give them plenty of time to mature and release them for sale at just the right moment. In a prominent location and presenting themselves to the visitor’s eye are our wine archives. Here, single-vineyard wines from our best sites and precious rarities from the last 40 years have yet to escape the bottle opener. 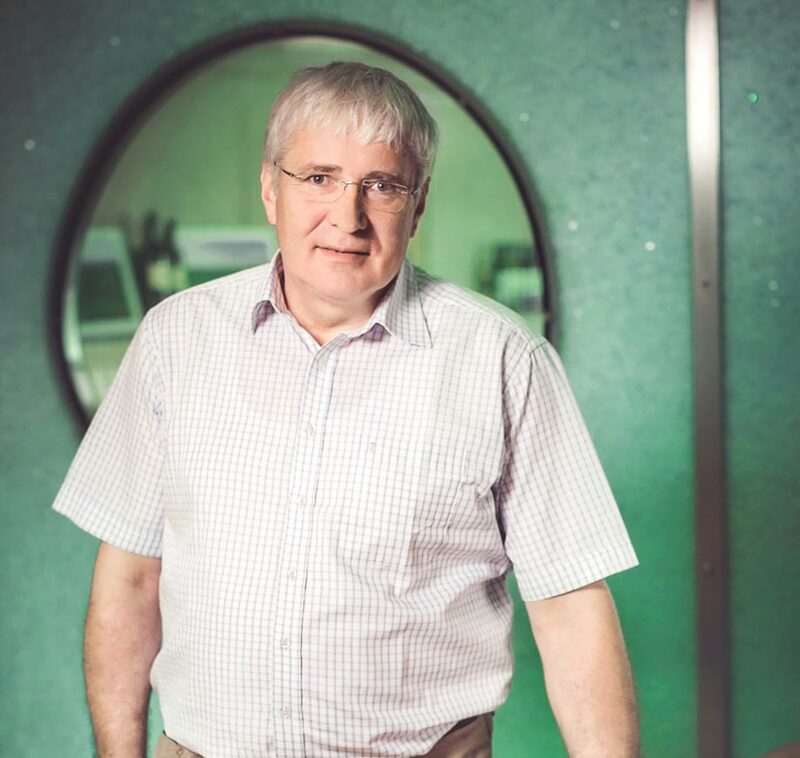 Alois Gross has always been keen on tasting his own wines after several years of age. 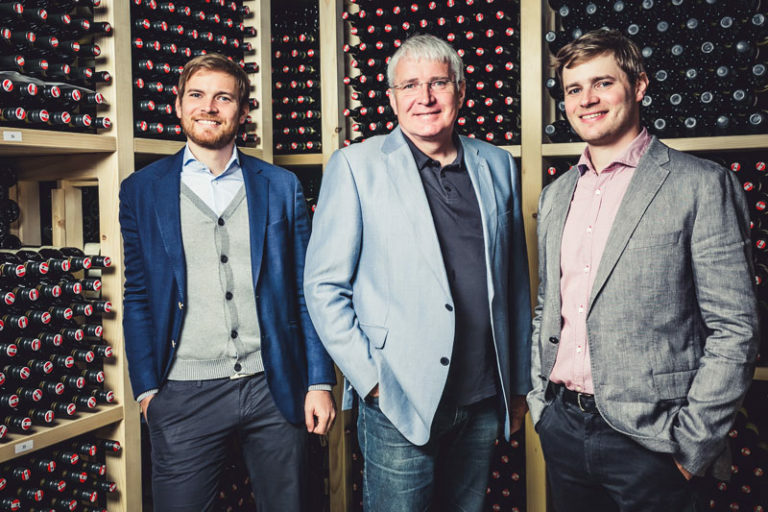 His sons Johannes and Michael put some noble drops aside every year to fill their archives with bottle formats up to Balthazar (12 litres) and Nebuchadnezzar (15 litres). Each wine is given its own place of honour here to unfold its full potential. From time to time, we draw some perfectly stored wines from our archives and offer them to connoisseurs. If you don’t have the possibility to store wines for years until their full maturity, we can help you to have this tasty experience. Just ask for our seasonal letter or newsletter to be among the first to know when we release certain wines from our archives for sale in a limited number of bottles. 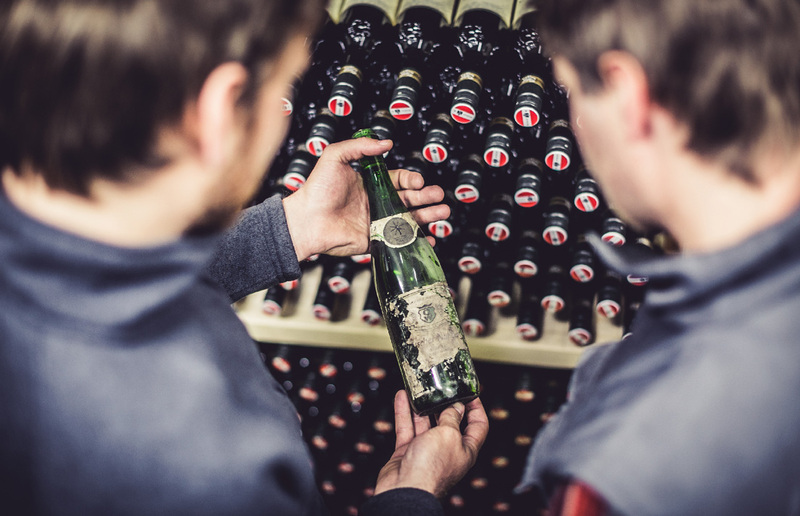 Looking for rare wines from our archives to store in your own wine cellar? Interested? Then please E-Mail us. A selection of awards we got over the years.